From its powerful networking strategies, endorsements and recommendations, groups and discussions, LinkedIn continues to fine-tune new ways for professionals to connect with one another. 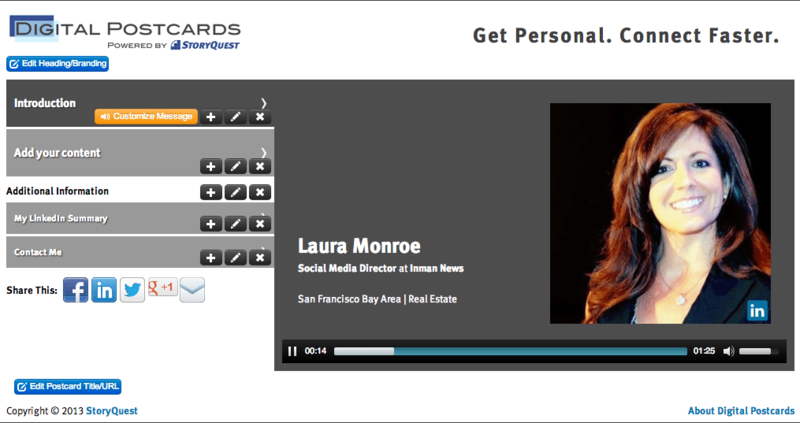 Going beyond the editable profile, LinkedIn has a powerful new connection tool: Digital Postcards. Digital Postcards is an app that lives within LinkedIn that provides a powerful multimedia connection tool. 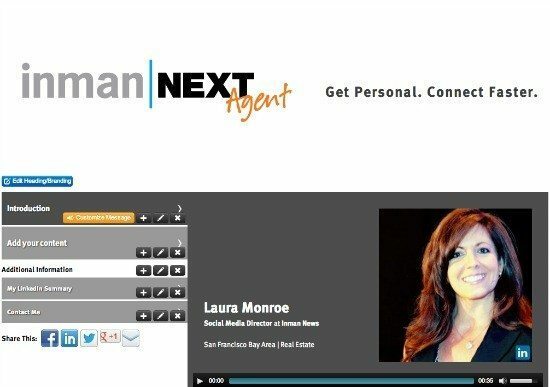 Create an introduction message with your voice, and add in a video or SlideShare presentation, photos or text, and you can share it via LinkedIn, email (groups or individuals), or other social media sites. Specifically for real estate, this means gaining trust faster within your referral network, and having a multimedia welcome message ready to go. You can even share it with prospects who find you, to let them know a bit more about you than just reading your profile. Your prospects want to know about the results your other clients have achieved. Highlight how you solved their critical business issues. Link to ideas and thought leadership with the goal of helping your prospects solve the same issues. Your intent is to provide value to your prospects, not beat your chest and talk about yourself or your products. Without trust, you don’t have a chance to get the business. Include a client testimonial to help build that trust for you and your brand. The full menu of templates — and the ability to duplicate — means you can have a variety of premade postcards for just the right person. From buyer/seller prospects, referrals and more, use this feature to differentiate. Analytics are included, so you can see your open and click rates. As with anything in your marketing tool kit, building your connections always means adding value for those who find you. Don’t market new listings, open homes or other solicitations. Your social media tools should help you to strengthen your connections, forge new ones and build trust — and even drive traffic to your website. Cultivate your relationships with tools you think are valuable to THEM. We’d love to hear more ideas about you use social media to create a great first impression? Leave them in the comments below.